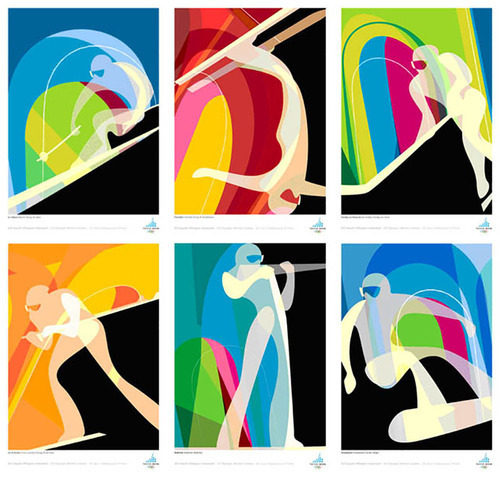 After surviving the recent polar vortex and with the upcoming Winter Olympics at Sochi, I’m reminded of one of my favorite sources of graphic inspiration: Olympic Poster Design. 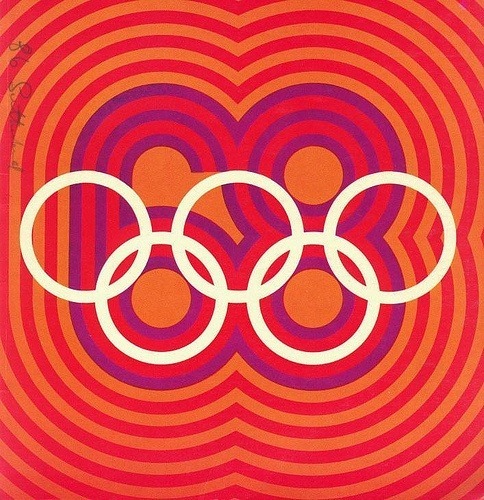 Looking through some of my favorite works: Yusaku Kamekura’s 1964 Tokyo Games, Otl Aicher’s 1972 Munich Games, and my personal favorite, Mexico 1968 – a collaboration between Ramirez Vazquez, Eduardo Terrazas and Lance Wyman; I am quickly reminded why I love Olympic design. I love the colors. I love the shapes. I love the marriage of nationalistic pride & graphic energy that reveals itself every four years. It’s like a leap year design gift. A more recent winter themed throwback for me is the series of Olympic pictograms done for the 2006 Torino Olympic Games. For a team of designers based in Atlanta, they not only captured the passionate spirit of Torino, they delivered a beautiful response to a simply stated brief. The project lives in the AIGA Design archives and represents what I like to call true graphic soul.